Delta Liquid Transfer Tanks are designed for temporary storage and transportation of non-flammable fuels such as diesel fuel and other liquids. These tanks are the perfect solution for re-fueling equipment on job sites, farms, ranches, forestry and agricultural applications. Constructed from .125 Treadplate Aluminum or 14 Gauge Steel, these rugged fuel transfer tanks are designed for heavy use and long life. All Delta tanks are equipped with internal baffles for added strength and to control sloshing during transportation. Each tank is pressure tested for leaks and each Delta Tank meets D.O.T. requirements for combustible liquids such as fuel oil. 2" NPT Reinforced Bungs which allow convenient use from either side. Filter system recommended. 2" Bung Fill Tube which protrudes into the tank to help limit the capacity and allow space in the tank for expansion of the contents due to warm weather. Built-In Lifting Rings for easy of lifting and moving EMPTY tank. Lockable Filler Cap and Coupler prevent excessive pressure buildup. Heavy-Duty Brackets to secure the tank to the truck bed. All brackets must be bolted to the truck bed. Delta Models 498000 and 498002 are made for short bed trucks including trucks with 4-door cabs. These tanks CAN NOT be connected to an existing fuel system under any circumstances. These tanks ARE NOT designed for flammable liquids such as gasoline. 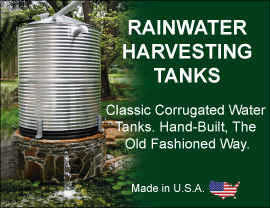 Usage of tanks are regulated by State and sometimes local ordinances. Contact your local Fire Department for details. Contact your local Fire Chief or Fire Marshal to determine your local restrictions. Please be sure to measure truck bed to determine proper tank fit. Refer to the picture below for A, B, C, D dimensions. Safety Capacity is the minimum capacity of the tank when filled to the bottom of the Bung Fill Tube… not the maximum capacity of the tank. The Maximum Gallon Capacity is shown on the charts below. * Capacity includes a safety reserve to allow for expansion of the contents in warm weather. 437000 $838.00 L - Shaped 99 104 29.6 57 ½" 25" 31" 9"
438000 $704.00 Rectangle 91 102 7.1 45 ¼" 23 ¼" 23 ¼"
439000 $523.00 Square 47 52 8.9 23 ¼" 23 ¼" 23 ¼"
Low-Profile 86 92 30.4 54" 25" 31" 6 ½"
Low-Profile 76 82 27.1 48" 25" 31" 6 ½"
Short Bed Trucks 98 106 17.8 60" 25" 33" 7 ½"
482000 $399.00 L - Shaped 51 54 15.6 29 5/8" 25" 31" 9"
481000 $480.00 L - Shaped 56 59 19.2 37" 21" 31" 9"
480000 $643.00 L - Shaped 103 109 31.2 59 5/8" 25" 31" 9"
486000 $465.00 Vertical Rectangle 37 42 7.0 59 5/8" 19" 9"
485000 $387.00 Square 50 55 8.9 23 ¼" 24" 23 ¼"
484000 $556.00 Rectangle 96 107 17.1 45 ¼" 24" 23 ¼"
Model 433000 offers the convenience of a 72 Gallon Transfer Tank and a 4.5 Cubic Feet of secure storage space for tools and accessories in one unit. Self-Rising lid has two heavy-duty gas spring lid lifts. Leak-Proof Stainless Steel Paddle handles and Wide Live Cell Weather Stripping prevent moisture and dust from getting inside. 433000 $1126.00 Combo Tank & Chest 72 77 23 48 ¼" 19" 31" 9"
GPI Transfer Pumps: l2-Volt DC Aluminum Gear Pump for fuel with Automatic or Manual Unleaded Nozzle. The M-l5OS is a 12 volt portable pump whose dependability and efficiency have been proven in thousands of installations. Many customers tell us the M-l5OS is the best such pump on the market. Delivers up to 15 GPM (56 LPM). UL Listed Pump and CSA Certified. Available with either an automatic or manual nozzle.